Mobile by Sainsbury’s will close on the 15th January 2016. We outline the best alternatives, how to transfer your phone number elsewhere and how to get a refund for unused credit. In a message posted to their website, Mobile By Sainsbury’s has announced that their service will be closing on the 15th January 2016. Customers should transfer their phone number to another network before the service closes on the 15th January. Remaining credit should also be used up (otherwise, you’re able to claim a refund for unused credit). In this article, we’ll highlight some of the possible options for customers who are caught up in the Mobile by Sainsbury’s closure. We’ll discuss some of the best alternative networks and how you can keep your current phone number when moving to another network. We’ll also discuss the process of getting a refund for unused credit. 14th October 2015: Mobile by Sainsbury’s is no longer available to new customers. 14th November 2015: The final date on which you were able to top-up your account. 14th November 2015: Rolling bundles were automatically ended on the 14th November. You can still use up remaining Pay As You Go credit but only at the standard rates or by buying a one-off bundle. 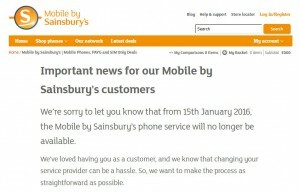 15th January 2016: The Mobile by Sainsbury’s service will officially close. Customers will need to use up any remaining credit and will need to transfer their phone number elsewhere before the service finally closes. 14th July 2016: Mobile by Sainsbury’s will continue offering double Nectar points for six months after their closure. The promotion will end on the 14th July 2016. As a Sainsbury’s gift voucher. You can use this in your nearest Sainsbury’s supermarket. As additional Nectar points. This is probably the best way of receiving your refund as you’re able to use it at a number of retailers (including Sainsbury’s, Argos, Pizza Express and Vue Cinemas). You can also use the additional points in the Sainsbury’s double-up promotion where they’ll be worth twice as much. As a cheque. If you reject the first two options, you can alternatively have the credit returned to you as a cheque. The reason for Mobile by Sainsbury’s closing is due to their MVNO agreement with Vodafone coming to an end (this is the agreement that allowed them to operate a mobile service on the Vodafone network). It was rumoured as early as July that Vodafone wanted to pull out of the UK MVNO market. 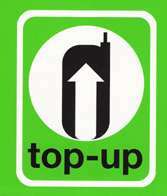 At the time of closure, the Mobile by Sainsbury’s network had about 150,000 subscribers. At the moment, you’re charged 8p/minute, 4p/text and 5p/MB on the Mobile by Sainsbury’s network. ASDA Mobile and the Co-operative Mobile are able to match the old pricing from Sainsbury’s (they also charge 8p/minute, 4p/text and 5p/MB). Both networks make use of coverage from EE (use the online coverage checker). For more information, please see our full comparison of Pay As You Go networks. The article will compare prices on each network along with the level of coverage you’re able to expect. 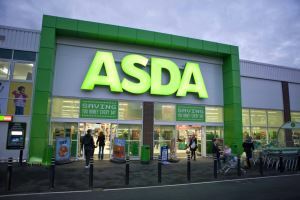 ASDA Mobile will match your old deal for only £7/month on Pay As You Go. Currently, on Mobile by Sainsbury’s, you’ll be paying £10/month for 300 minutes, 5000 text messages and 500MB of 3G internet. With a rolling bundle, this would have been discounted in price to £8/month. Your best alternative is to switch over to ASDA Mobile’s £7/month deal. Making use of coverage from EE, they offer 300 minutes, unlimited texts and 500MB of 3G internet per month. Another good alternative is giffgaff’s £7.50 goodybag, using coverage from O2. For £7.50/month, giffgaff currently offers 250 minutes, unlimited texts and 500MB of 4G internet. If you’re only able to get coverage from the Vodafone network, you could alternatively switch to Vodafone’s Big Value Bundles. For £10/month, you’ll get 150 minutes, unlimited texts and 500MB of 4G internet. For more information, you can read our full review of the Big Value Bundles). With giffgaff, you’ll get the same deal as you currently have on Sainsbury’s but with an upgrade to higher-speed 4G internet. On Sainsbury’s, you’d currently be paying £12.50/month for 500 minutes, 5000 texts and 1GB of 3G internet (discounted to £10/month on a rolling bundle). Once again, the best alternatives can be found on ASDA Mobile and giffgaff. On ASDA Mobile, you’ll get a larger allowance of minutes for £10/month (600 minutes instead of 500 minutes). On giffgaff, you’ll get the same monthly allowances but with a free upgrade to higher-speed 4G internet. The £10 goodybag has 500 minutes, unlimited texts and 1GB of 4G internet. We recommend switching over to giffgaff’s £12 goodybag with 500 minutes, unlimited texts and 2GB of 4G internet. Customers on the 2GB bundle would currently be paying £15/month on Mobile by Sainsbury’s (discounted to £12/month with a rolling bundle). This would have given you 800 minutes, 5000 texts and 2GB of 3G internet. The best value alternative is giffgaff’s £12 goodybag. Though it has a smaller number of minutes, you get access to faster 4G internet at no additional charge. Customers wanting coverage from Vodafone can switch over to the £20 Big Value Bundle. This includes 500 minutes, unlimited texts and 2GB of 4G internet. Unfortunately, it’s a big jump up in price from the current Mobile by Sainsbury’s bundle but there are very few Pay As You Go offerings still using the Vodafone network. For a full comparison of the bundles available on each network, see our guide to the UK’s best value Pay As You Go bundles. For customers willing to sign a contract, a Pay Monthly SIM card can give you even better value. In order to keep your existing phone number, it’s important to take action before the 15th January 2016. If your phone number hasn’t been transferred to another network before this date, it will cease to function and your phone number will be lost. A PAC Code (or Porting Authorisation Code) allows you to move a phone number from one network to another. You should request a PAC Code from Mobile by Sainsbury’s as quickly as possible either through their website or by calling 0333 313 1150. You can call them any time between 8am and 8pm daily. If you’d like to request a refund for unused credit, we recommend calling to obtain your PAC Code. As per OFCOM regulations, you must be given a PAC Code within 2 hours of your request. 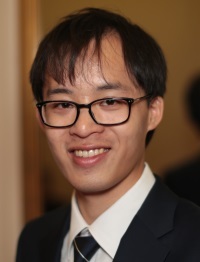 Once issued, the PAC Code will be valid for 30 days. If you don’t use the PAC Code in this time, you can request another one by calling Mobile by Sainsbury’s again. The final date for requesting a PAC Code is the 15th January 2016. We would, however, highly advise against leaving this until the very last minute (it will take some time for the transfer to be completed). You’ll need to find a new mobile network to which you’ll be able to transfer your phone number to. Most mobile networks will offer you a free Pay As You Go SIM card, though our recommended alternatives are ASDA Mobile and giffgaff (see the section above for a full comparison). For a full list of possible options, please see our guide on free Pay As You Go SIM cards. It can take a couple of working days for your new SIM card to arrive. After receiving a SIM card from your new mobile network, place it into your phone and then activate your SIM card. To complete the transfer of your number to the new network, you’ll need to give them the PAC Code issued from Mobile by Sainsbury’s. Your phone number will normally be transferred on the next working day after you submit your PAC Code. To ensure an uninterrupted service, your phone number transfer should be completed before the 15th January 2016. We therefore recommend submitting a PAC Code to your new network no later than on the 13th January 2016. It’s not possible to transfer your credit to another network. For this reason, you should try to use up any remaining credit before the transfer takes place. Alternatively, ask for your credit to be refunded when requesting your PAC Code from Mobile by Sainsbury’s. For more information, please see our in-depth article on how to use a PAC Code. For more information, it’s worth reading the official notice and FAQs on the Mobile by Sainsbury’s website. does anybody have a copy ? does the deletion mean they have removed the offer ? I have been trying to find out why double nectar points have not yet been added to my nectar account. I have phoned about five times since the beginning of February and get excuse after excuse, all different ones as well. What is my next step with regard to getting the nectar points added? Who did you phone? I phoned nectar and the woman talked so fast and appeared to be answering a different question to the one I asked. I have been speaking to Sainsbury’s mobile helpline, but not got anywhere with them since the beginning of February. I’m starting to think that they are not going to double up the points. As per Judy’s comments on 17 Jan 2016. I first contacted mobile by Sainsburys for a refund of unused credit of my PAYG phone on 25 Nov 2015. I requested a cheque and was told it could take up to 4 weeks. It did not arrive. I then e-mailed customer services on 30 Dec 2015 and they did not respond. I telephoned again on 6 Jan 2016 and they were full of apologies, but told me the reason no cheque was issued was because I had not re-used my mobile number. They said they have now resolved this problem and that the refund by cheque it could take up to 4 weeks. 4 weeks later and still no cheque So on 1 Feb I telephoned for the third time and am still waiting. This is a ridiculous length of time to wait for a small refund. The only numbers available to call are not freephone and as you are on the phone for 20 minutes at a time would take a sizeable chunk out of any refund anyway, There are no avenues available to escalate the issue of unpaid refunds; simply the customer services e-mail which never receives a reply or the same phone number that has people full of apologies and telling me the cheque would take up to 4 weeks. This is appalling and at least as bad as when Asda closed their mobile phone service in 2014. To charge people for a service they then cease providing and then give no refund is fraudulent and/or theft. If I did it the police would be hammering on my door within the hour. After some chasing I did manage to extract a cheque refund for one of my numbers but have been waiting over three months for a refund on my other number. I’ve chased several times and have been promised a cheque within 30 days. I’m now seriously thinking of sending them a ‘letter before action’. Although it’s not much over £30 I feel there’s a principle at stake and I would be prepared to take them to the Small Claims Court over it. Indecently, I can’t find any way of finding out on the Sainsbury’s web site what credit you’re owed, so you need to have kept a record of this before your number was ported. I’ve been trying to get a refund from Sainsburys mobile since 27th November. I had three phones on their network with credits totalling over £50. I have phoned them twice but they just say I am in the system. This is disgraceful. There appears to be nobody to complain to and they now say they are very busy and it could take 40 days to get a cheque. I asked for a cheque for one phone credit and then asked for Nectar points for the othe two phones. I have been told that Nectar points should be credited with 72 hours but I am still waiting and it is well over a month. Has anyone else having this problem and any suggestions as to what to do.